My roots are in fashion. It's what I studied in college. I had a hard time deciding between Fashion and Interior Design, and even though Fashion won out in college, Interior Design won out in the end. That said, the basic inspiration for each is really very similar...so today I thought I'd have a little fun. I was looking through the Ruche Summer Look Book (aaaaaah, bliss) and thought it might be fun to see if I could use a couple of their outfits as inpiration to create some pretty rooms. This was a fun exercise. Check it out. First up, this peppy little number. Sunny and casual, I love the poppy-colored stripes and the tiny touch of yellow in the bangle on her wrist. I definitely played up the yellow here...but I love the poppy/yellow combo! This room would be so much fun to lounge in! Next up, this chic little short-all with hot pink sandles (not to mention the pretty aqua-colored cruiser). Now this is a room that really feels like "me". 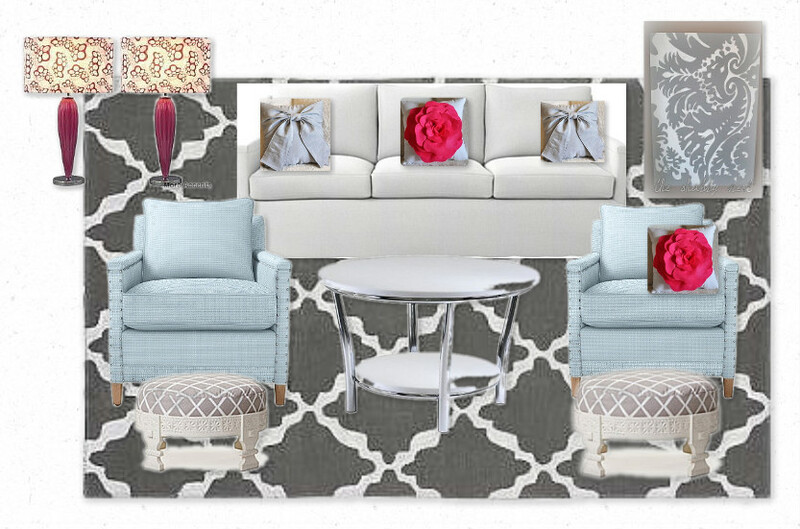 Lovin' all the gray with the touches of pink and aqua. So pretty and restful. So tell me, my dear reader, does your closet inspire your decor (or vice versa)? So fun!! I didn't know you were into fashion!! I love both rooms...especially the second one :) It's funny how sometimes what I'm wearing influences my home design! Sweet! Love the rooms you designed! Really liking the first...the pop of yellow is so eye catching!! Fantastic! Why don't more people decorate like they dress? That's your personality that you carry around, isn't it? I love this post! This is so novel and fresh. You MUST do more of these; you are just too good at them! Have a great Tuesday. This is so wonderful. I loved the touch of yellow in the first one. I have never tried the 'dress inspired decor' but WOW what a thought. I think I need to give it a try!! Nice work. I love the ruche lookbook and that top is one of my faves. I love the color combination in the first room. It totally reminds of summer fun, with pops of color and nice prints! What a fun idea! 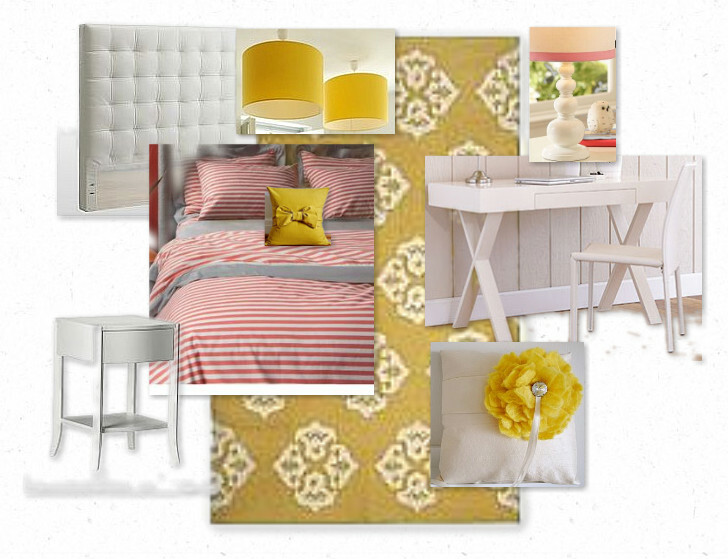 I'd never thought to pull home design ideas from lookbooks and catalogs. I love what you put together! What an interesting idea. I love designing with area rugs and these really help recreate the fashion looks. I also love the way you use the white in your design. It's great. Thanks. That shirt is so cute! Great boards. This was a fabulous idea. I'm in love with both rooms. Such great inspiration. Thank you for sharing!